In the meantime… this collaboration inspired me to look making an easy soap based recipe. 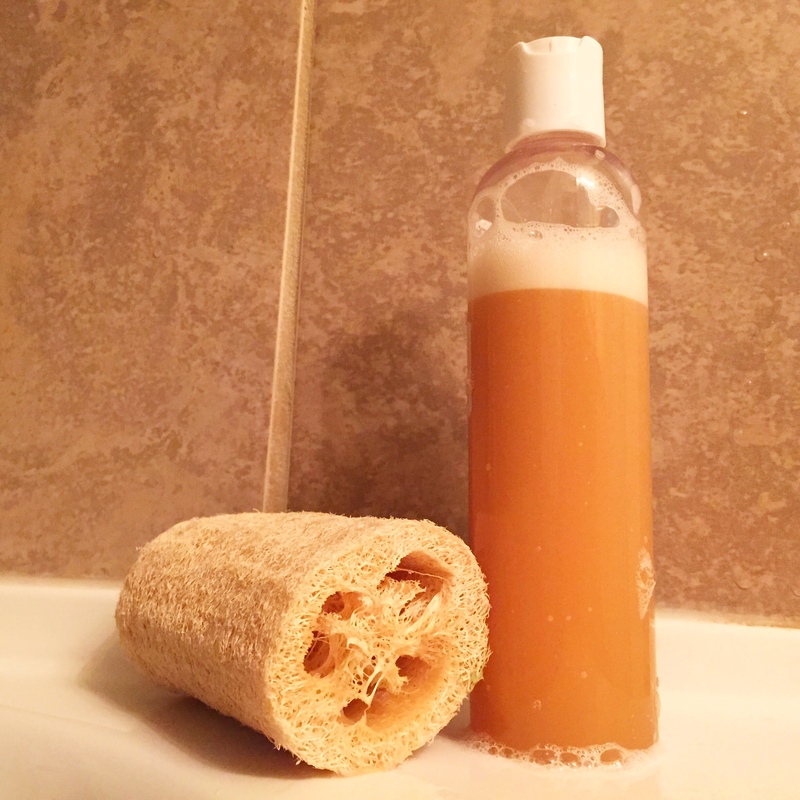 I’ve concocted a mosturising, good for your skin, Raw Honey Body Wash. Not only is this simple to make, but you can customize it with a scent that you love… such as Relaxing Lavender, Uplifting Sweet Orange, or Floral Ylang Ylang and Jasmine essential oils. 1 tsp. Vitamin E oil (you can empty out vitamin E capsules if you can’t find a good liquid version). 30 drops essential oil(s) – I like 20 drops spearmint and 10 drops lemongrass or just 30 drops lavender on its own (experiment with any essential oils you like, but do note that many citrus oils like bergamot, grapefruit, lime, etc can cause photosensitivity in the sun – this amount should be okay, but it should be something to be aware of). If you can’t find the above ingredients in your local natural store, they can be found online on Amazon or soap supply companies, just do a web search for them or message me for some ideas. Since this recipe doesn’t contain water, it doesn’t require a preservative and has a long shelf life of up to a year, depending on the oil used. (Vitamin E will help extend the oil shelf life by preventing rancidity). Measure out all ingredients and combine in a bottle with a squirt top, shaking to mix. Shake gently before each use and apply to a sponge or washcloth. Let me know what you think! Do you love it? I made this to test it out and my whole family is loving it! I might make it a little thicker by adding Aloe Vera gel or maybe some more glycerin, but will need to experiment further. I do love it as is however. I find it is refreshing and moisturising and simply lovely! This entry was posted in An Entrepreneur's Journey, My recipes, Natural Ingredients, Skin Care Recipes and tagged bath, bodywash, British Columbia, canadian, children, clean, cleanser, community, craft, create, custom, DIY, dry shampoo, easy, essential oil, event, experiment, fun, gift idea, handmade, healthy skin, honey, moisturising, moisturize, natural, self care, show by A Little Soapy Business. Bookmark the permalink.